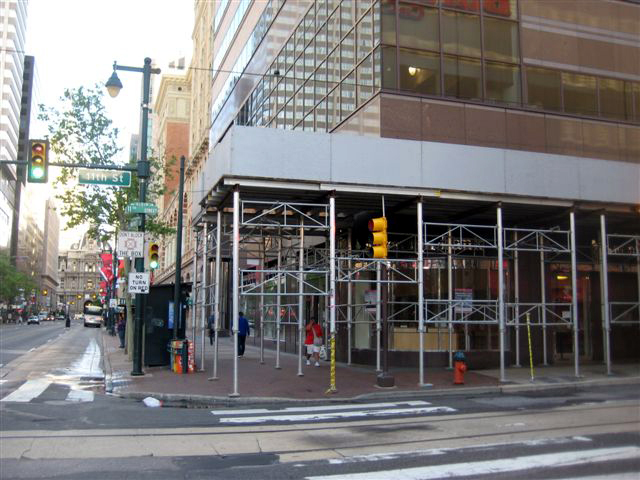 Superior Scaffold’s emergency services team saves the day at Aramark Tower, Philadelphia, PA.
No one ever wants to receive the call that a Fed Ex truck backed into the scaffolding on a job, especially one that sits in middle of one of Center City’s busiest intersections. But that’s exactly what happened at the Aramark Tower. 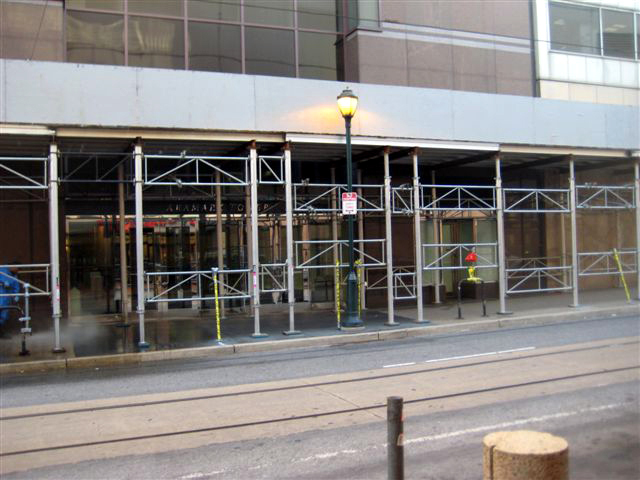 Somehow, Fed Ex backed their truck into the aluminum canopy that was around the building at 11th and Market. (Hey, accidents happen). 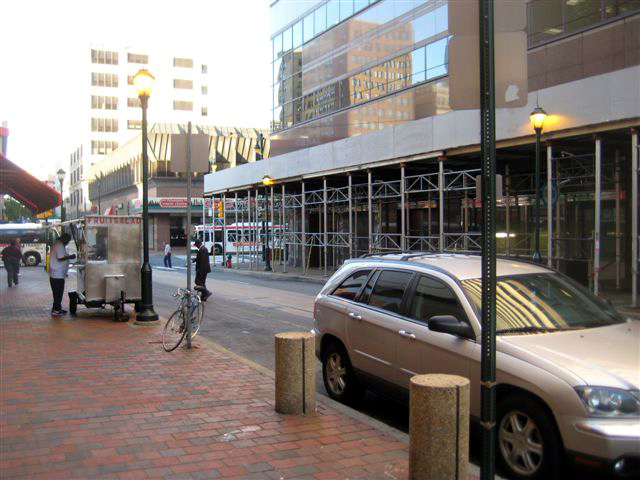 The call went out to Superior Scaffold and their 24-hour emergency services team was on the spot within hours to repair the damage, averting what could have been a very dangerous situation. 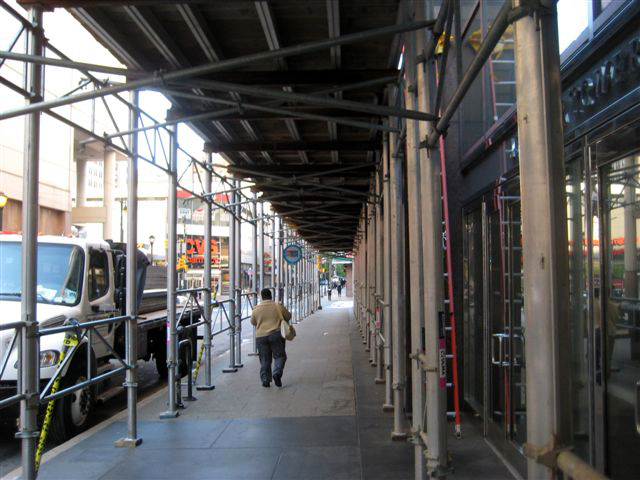 Superior’s Anthony Pini got the call at 6:00pm on Thursday evening and immediately sent out a crew to repair the broken scaffolding. Within hours everything was back to normal and the Aramark Tower was back in business. And the canopy looks great too! This entry was posted on Tuesday, April 24th, 2012 at 1:08 pm	and is filed under News & Updates, System. You can follow any responses to this entry through the RSS 2.0 feed. Both comments and pings are currently closed.